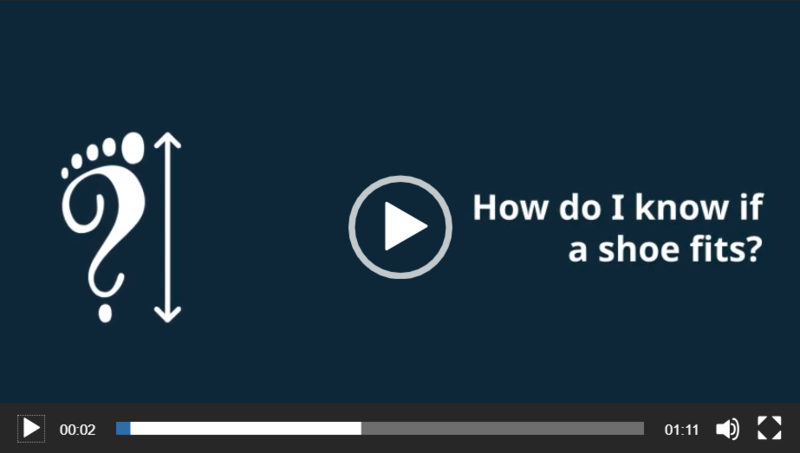 Find your perfect shoe size easily. 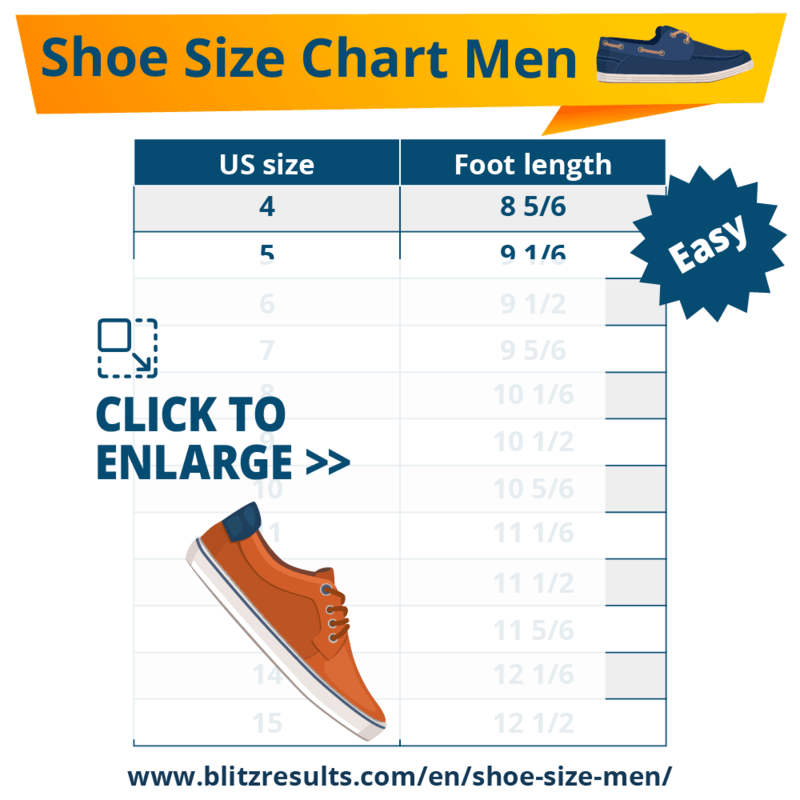 Shoe size charts for men, women and kids to convert sizes (US size, UK, Euro). Plus, easy how-to guide to measure foot length (printable). Unsure how to read a chart? Check this cheat-sheet. 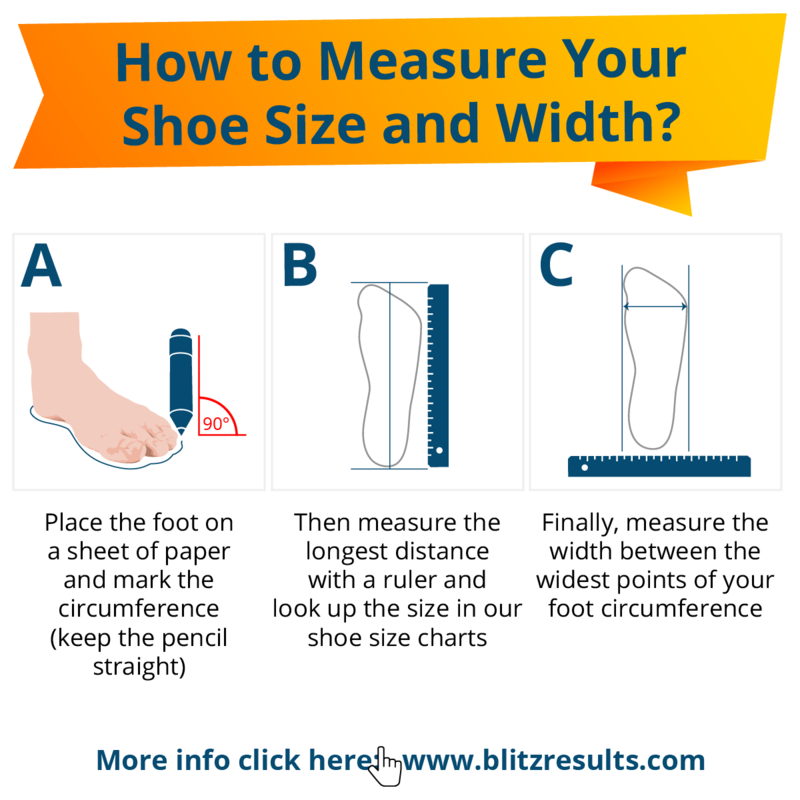 Measure your foot and find the corresponding US size. Go for bigger size if in doubt or between numbers. Use this technique or a Brannock Device to measure your feet. 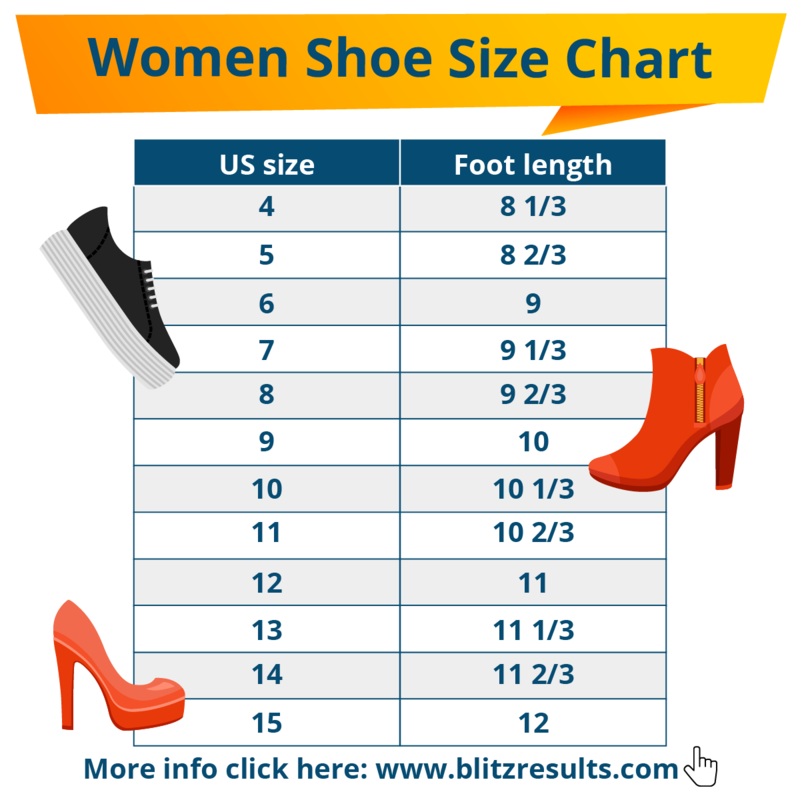 Convert by using this US women shoe size chart. How to Read a Shoe Size Chart? To find your shoe size, select the respective column in the shoe size chart with the size you already know (i.e. if you know that you have an 8 in U.S., pick the “US” column), and look there for the row with your number (in this example: 8). Then move horizontally with your finger to the column which corresponds to the size scale you are looking for (i.e. “UK”). How to Read Shoe Size Chart? If you are looking up your foot length in inches, please use the closest number in inches that is equal to, or slightly longer, than your foot. 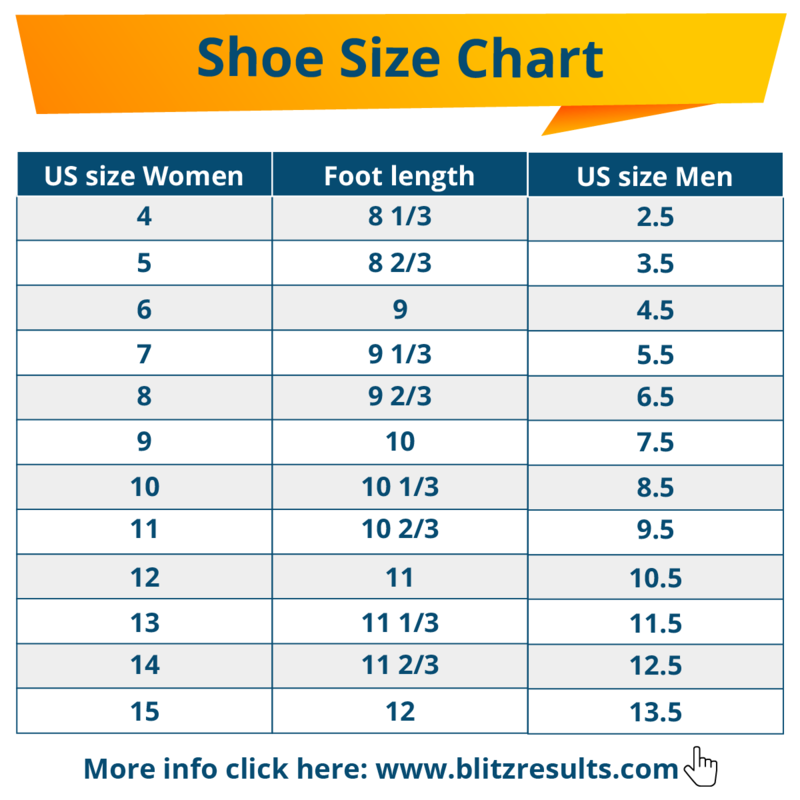 US shoe size chart: From foot length in inches to US standard shoe size for mens and womens shoe size conversion. EU and UK shoe sizes differ from the US-American shoe sizes. 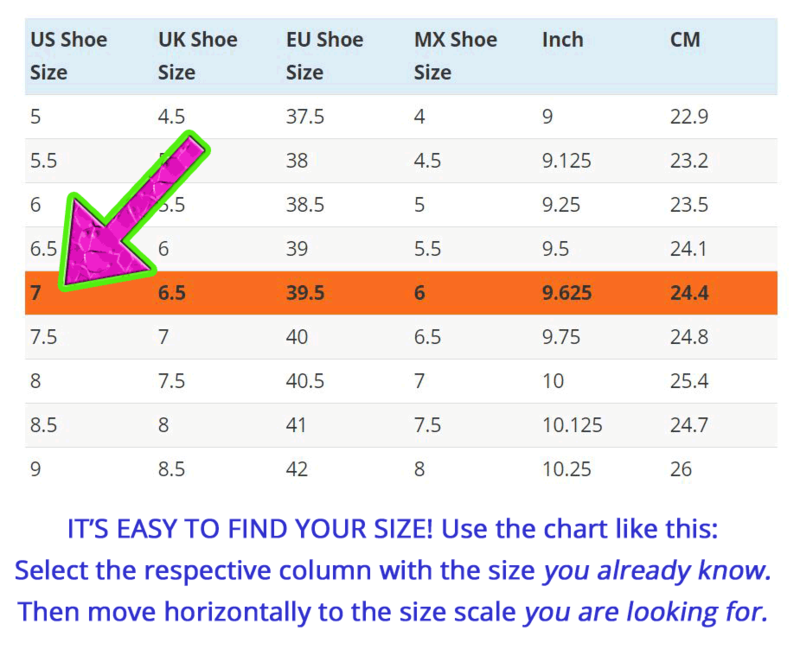 UK sizes are based on inches, use size guide on this page to convert from UK to US shoe size. Use this page to convert from EU to US shoe size. EU shoe sizes are based on centimeters (cm). In the past, France, Italy, and Germany each had their own shoe size. Today there is a uniform shoe size in Europe which is valid for the following countries: Belgium, Netherlands, Denmark, Austria, Germany, Poland, Portugal, France, Greece, Italy, and Sweden. Draw around your foot with a pen, holding the pen straight up (at a 90° angle to the paper). Measure the longest distance from the heel to the tip of your longest toe. Pro tip: If one of your shoes is always too tight, measure both feet and then use the length of the longest foot to calculate the correct size for your footwear. If the two lengths vary a lot, you should consider getting your shoes specially made or using special insoles. For instructions how to measure children´s feet, please see here. 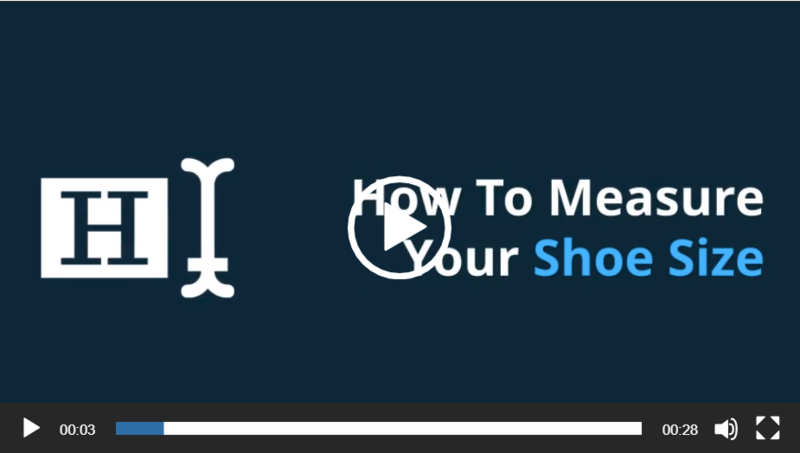 How to measure shoe size without a ruler or Brannock Device? Easy! Just print out this sizing guide. How to use a Brannock Device? Charles Brannock invented a foot measuring device that is used in America, Canada, Australia and New Zealand for kids, men’s and women’s sizes. The device measures length of foot and designates a shoe size between 3 and 16 in steps of half sizes, and width of AAA to EEE. 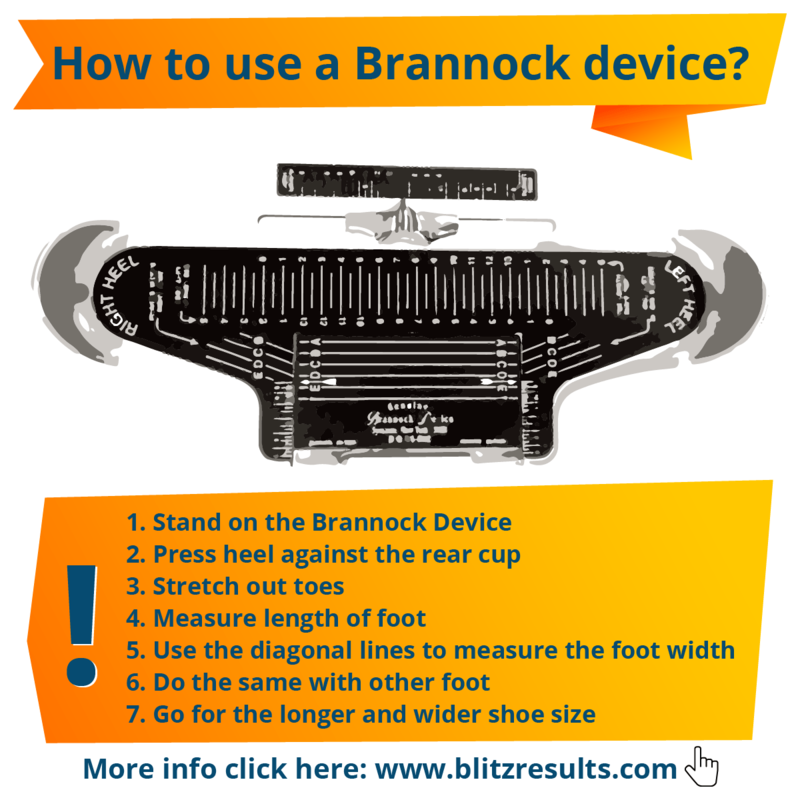 It’s easy to use a Brannock Device: Press heel against rear cup and measure foot length and width of both feet. Then go for the longer shoe size. Remove the footbed: place it on the floor and put your foot on top of it. You will be amazed! Why? Because it provides first indications of how well the shoe fits in length. This means that the width of the foot cannot be deduced one to one, as the interior of the shoes is usually wider than the footbed. Check the front area: The front area is particularly important. If the footgear, in your usual size, is too tight in the front area, the instep may be insufficient. The leather usually yields slightly. But, of course, you should be able to take right off in your new shoes. There should be approximately one inch of space between your toes and the tip of your footwear. Feet expand during the day. Go shopping in the afternoon or evening. If possible, wear regular socks. Extremely thick or thin pairs can alter the fit. Sizing system are only there as a guide. Even if you choose shoes in your correct number, they may not necessarily fit. Even footwear of the same brand may be different. Always test different sizes of your preferred model. Never buy footgear that “just about” fits. Always try on the left and the right shoe. Take your time having a look through the store. Use the stairs. Make sure that you have 0.5 to 1 inch of wiggle room when rolling your foot in the front part of the shoe. This rule does not apply to high-heeled shoes, in which case foot-slipping must be prevented by a firm support. In any case, test models from different manufacturers. Some brands are made wider or narrower. Correct width is just as important as length when it comes to optimal comfort. If your feet are narrow, go for a brand with a narrower fit, instead of a smaller shoe size. Women, in particular, often buy small shoes. The reason: false vanity and outdated beauty ideals. Some manufacturers react to this behavior and offer, for example, an actual shoe size 9 as a size 8 (vanity sizing). How Much Toe Room Should You Have in Your Shoes? Leave 1/2 inch at the front of the shoe, 1/8 inch at heel for normal shoes. Leave more space in running and hiking shoes (about a thumb’s width of space). Comfort: Some brands prefer to make shoes that are a bit more comfortable or also suitable for wider feet, so they secretly increase the measurements. Vanity: Brands assign smaller sizes to shoes, in order to make consumers feel better and encourage sales. Inaccuracy in production process: In mass production shoe makers and/or machines might produce inaccurate sizes for various reasons. Materials: Fabric, leather, leatherette, rubber, etc. are all very flexible materials. Producing shoes to exact specifications is not only difficult, but also expensive for the manufacturers. So, make sure you try various sizes! Two-dimensional measurement for a three-dimensional foot: Two measurements (length and width) might be an approximate guess to calculate a three-dimensional shoe, but not a guarantee for a good fit, as the shape of the foot is not taken into account. If the shape of the foot varies from the norm (wide feet, fleshy feet, high arches, flat feet, over-pronation or splayed feet) then an individual shoe-fit is necessary. Problems in International conversion: shoe sizes are based on three different length units. Paris Point (with intervals of 2/3 centimeter) in Europe. Barleycorn (with intervals of 1/3 inch) for most English-speaking countries like US, UK, South Africa, New Zealand, Australia and India. Metric measurements (intervals of 5 millimeters) and Mondopoint (intervals of 1 centimeter) are used in Russia and Asia. Want a perfect fit? Then have your footgear hand-made. Is it Safe to Wear Second Hand Shoes? It depends. As a rule of thumb, stay away from shoes that have been worn a lot. Do not wear shoes if the footbeds are compressed and the shoe soles are worn down. Get new insoles if they are removable and disinfect shoes. Are Men’s and Women’s Shoe Sizes the Same? No. Men’s and women’s shoe sizes are not the same. If you want to convert women’s to men’s shoe sizes in the US, just subtract 2 figures from an American women’s shoe size to get the corresponding men’s shoe size. Conversely, add 2 figures to a men’s shoe size number to get the women’s size. Are Kids Shoe Sizes the Same as Adults? No. Kids shoe sizes differ from adults’ sizes. 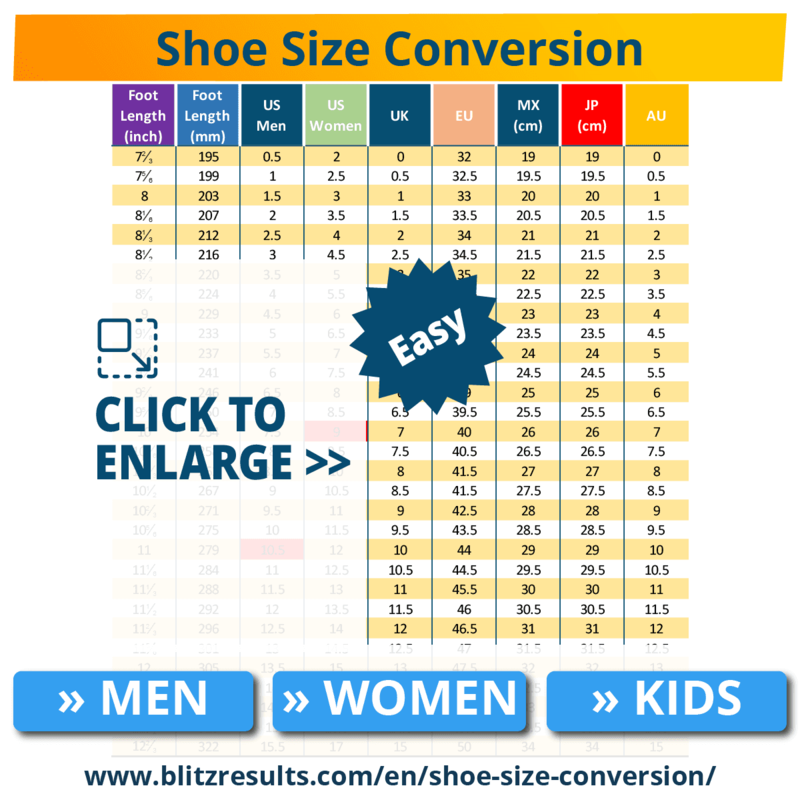 Use these charts to find the right children’s shoe size or to convert from adults’ sizes to kids’ sizes and vice versa. Why is it Important to Wear the Right Size? Just think how many steps you take in a single day. Our feet are probably the most heavily stressed parts of our bodies and a lot less robust than many you might think. Footgear that is too tight isn’t just uncomfortable, but probably harmful. Having the correct footwear plays an important role in preventing painful deformities and other orthopedic problems such as “hammer” toes or a twisted big toe. Also, it is very important to choose the right footwear for the right occasion: while sandals are great in summer, they aren’t necessarily good walking shoes. Are US and European Size the Same? No, unfortunately size systems differ throughout the world. So, a comparison and simple overview of the different sizes can be difficult. 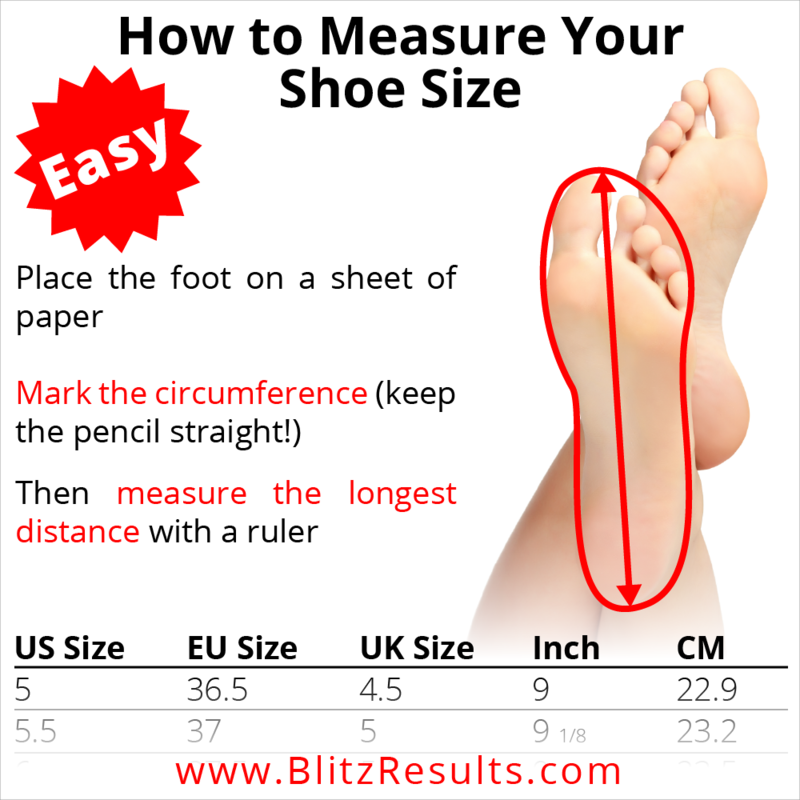 The sizing systems in different countries only have one common measurement: the foot length. The most accurate foot measurements are achieved with a scanner. The scanner produces a precise two- oder even three-dimensional image of the foot. However, scans are expensive and are usually only employed by professional athletes or orthopedic shoe makers. The average shoe size for men in the U.S. is 10.5 and for women, it is 9. The average U.K. shoe length for men is 9 and 6 for women. Only 40 years ago, our feet were smaller (by an average of two sizes!). The cause for this might be the growing obesity and the feet compensating through spreading. 1 What shoe size am I? 4 How to Read a Shoe Size Chart? 10 How to use a Brannock Device? 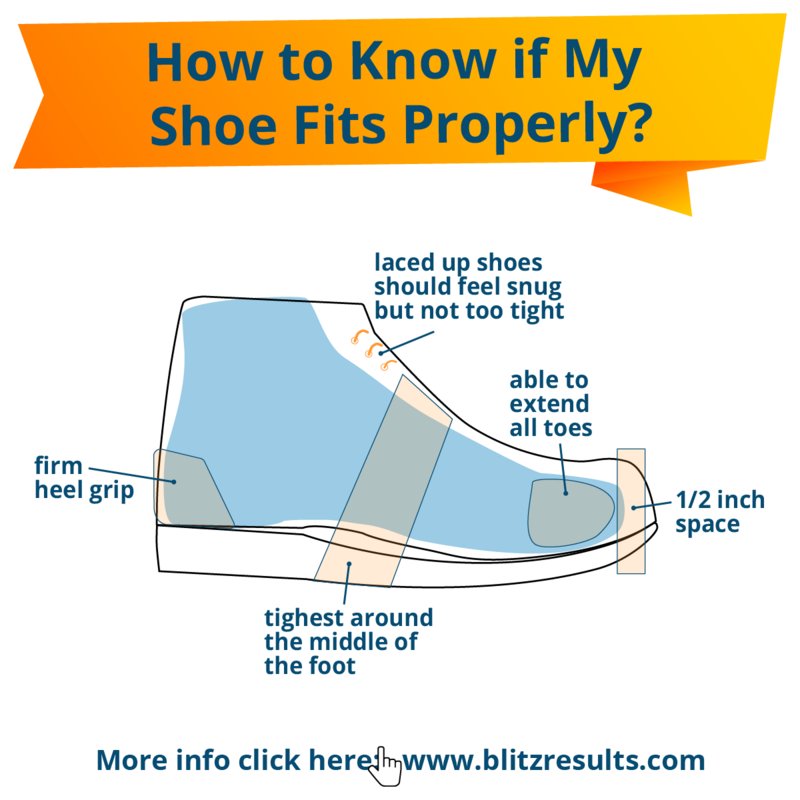 11 How Should Shoes Fit? 13 How Much Toe Room Should You Have in Your Shoes? 16 Is it Safe to Wear Second Hand Shoes? 17 Are Men’s and Women’s Shoe Sizes the Same? 18 Are Kids Shoe Sizes the Same as Adults? 19 Why is it Important to Wear the Right Size? 20 Are US and European Size the Same? 23 How do I know if a shoe fits?